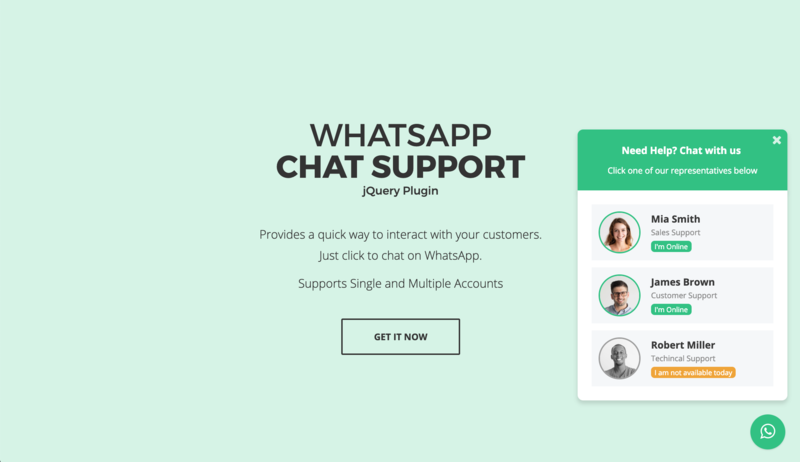 jQuery WhatsApp chat support plugin that provides a quick and easy way to interact with your clients. This plugin will allow your customers to send WhatsApp messages directly to your support team. 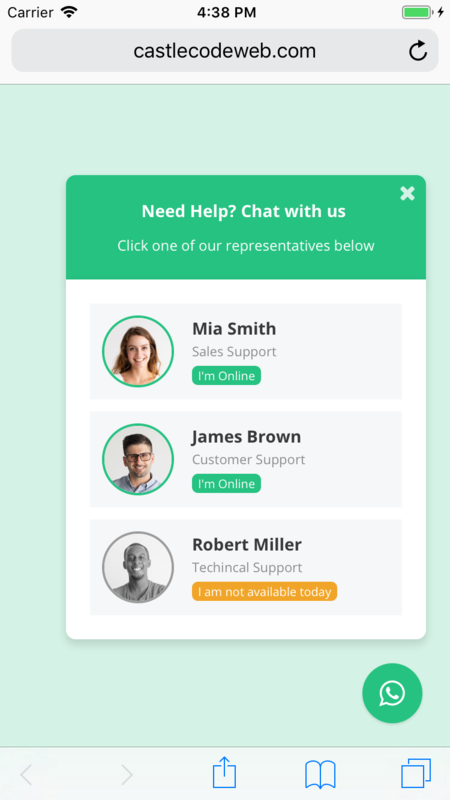 You can just add this click-to-chat plugin in your existing HTML website template or theme. This jQuery WhatsApp plugin displays a list of WhatsApp accounts on your site which when clicked, will take your customer to https://web.whatsapp.com/ if he is on desktop, or will open the WhatsApp application if he is on mobile. Specify the time when you and your team are available to chat with your customers during the week. Each of your support members can have different availability. Specify the message to show your customers when you are not available. You can make it easier for your customers and have a pre-defined text for them, so it is easier for them to start a conversation. If your customer is in a different timezone your availability will be automatically converted for him. You can easily customize it via CSS or you can even play around with the HTML. You can ask any question regarding the plugin before or after you buy and also you get free lifetime updates.